Happy Wednesday, readers! How is your week going so far? Mine is going great! I met all of my goals yesterday and I am ready to make today count, too! 2. 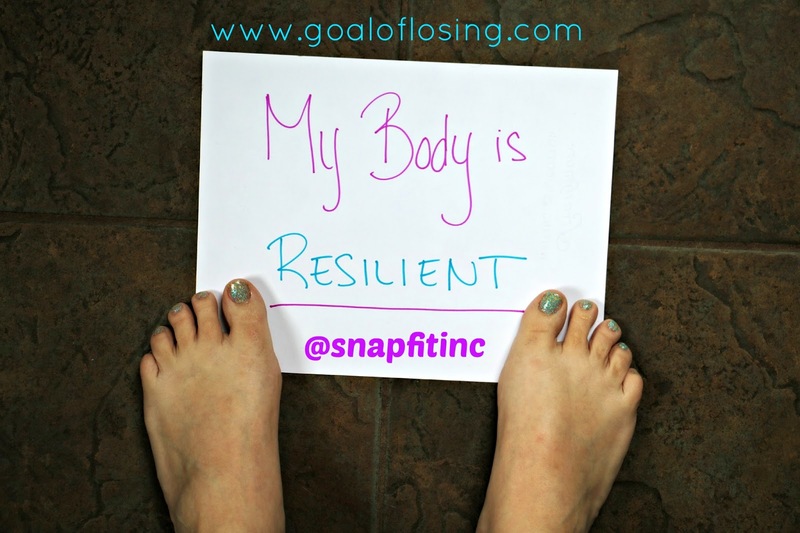 Post a picture holding a piece of paper that fills in the blank to the phrase "My Body Is ______"
Winners will be chosen by SnapFit on May 5th at 2 pm PST. Good luck to all that enter! I believe that everyone is a winner when they honor their body!